JANUARY 23, 2019 - CAPE CANAVERAL, Fla. (AP) — Jeff Bezos' rocket company, Blue Origin, launched NASA experiments into space Wednesday on a brief test flight. In this image from video made available by Blue Origin, the New Shepard capsule and booster lifts off from the company's site in west Texas. Jeff Bezos' rocket company launched NASA experiments into space on the brief test flight.Blue Origin via APThe New Shepard rocket blasted off from West Texas, hoisting a capsule containing the experiments. The eight experiments were exposed to a few minutes of weightlessness, before the capsule parachuted down. The rocket also landed successfully, completing its fourth spaceflight. 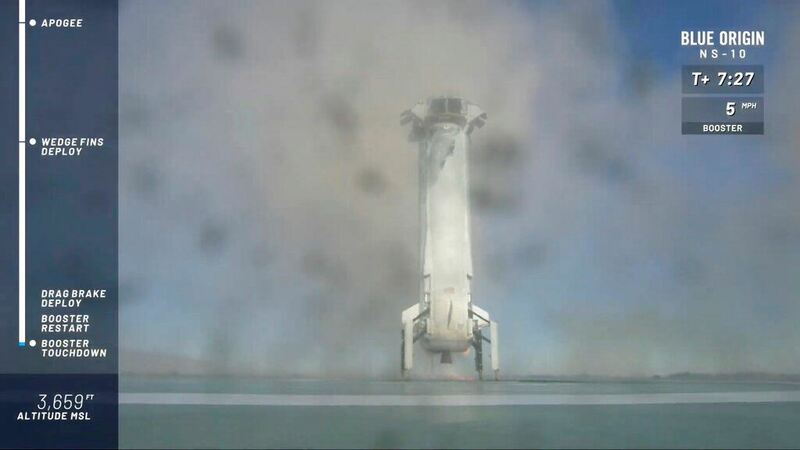 This was Blue Origin's 10th test flight, all precursors to launching passengers by year's end. The capsules have six windows, one for each customer. 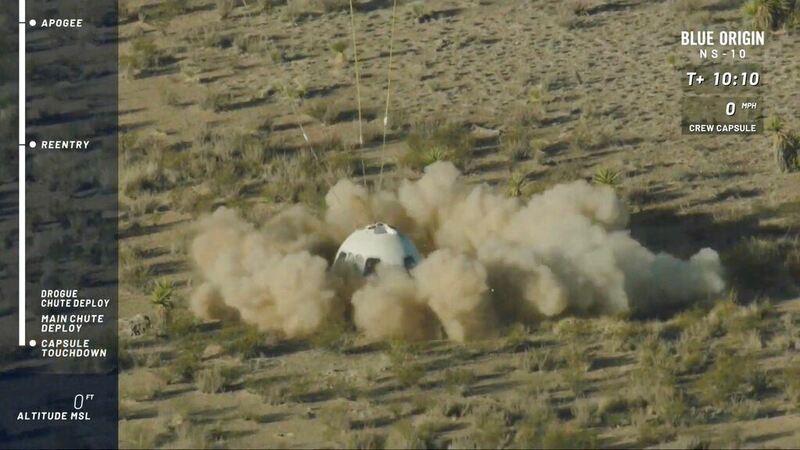 In this image from video made available by Blue Origin, the New Shepard capsule lands at the company's site in west Texas. Jeff Bezos' rocket company launched NASA experiments into space on the brief test flight.Blue Origin via APBlue Origin isn't taking reservations just yet. Instead, the Kent, Washington, company is focusing on brief research flights. 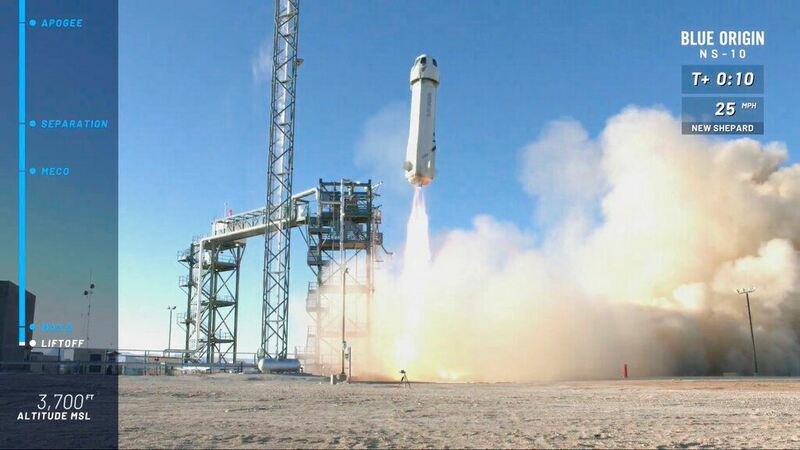 In this image from video made available by Blue Origin, the New Shepard booster lands the company's site in west Texas. Jeff Bezos' rocket company launched NASA experiments into space on the brief test flight.Blue Origin via APBezos is the founder of Amazon.